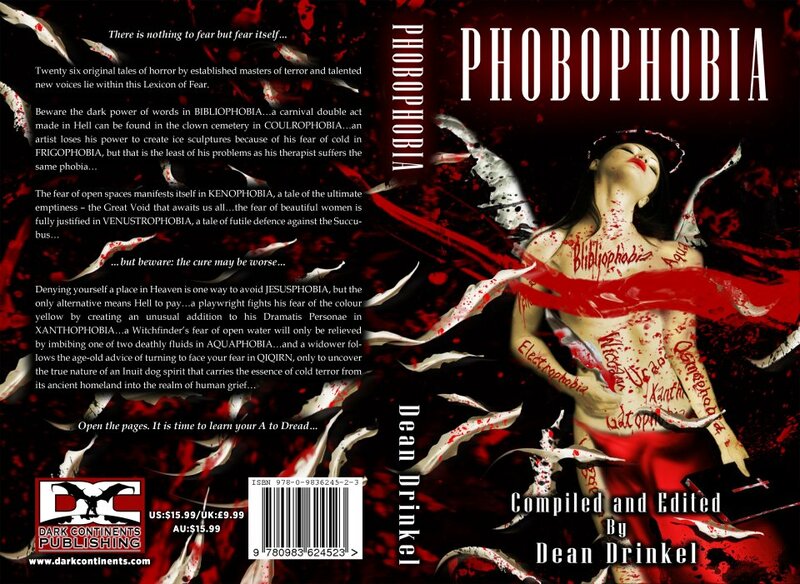 You can buy Phobophobia from Amazon Canada, Amazon US or Amazon UK. The Table of Contents is listed below. Here’s the whole wraparound cover, created by the uber-talented James Powell.